Is The Trinity Three Gods? Muslims believe that Christians worship 3 gods. Let’s find out if this is true. First of all, the Bible clearly teaches that God is One. (e.g. Deuteronomy 6:4), and that there is only ONE God. No Christian believes in 3 gods. So what is the trinity all about? Isn’t the trinity evidence that Christians have 3 gods? 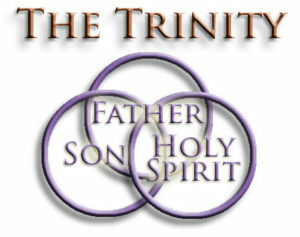 First of all, trinity simply comes from the word tri-unity. Tri-unity is not THREE. Tri-unity is ONE. There are many examples of tri-unity. TIME consists of Past, Present & Future. Yet, it is not three “TIMES”! Past is TIME. Present is TIME. Future is TIME. Is Past, Present & Future 3 TIMES? SPACE is Height, Width & Depth. Yet, it is not three “SPACES”! It still only makes up the single dimension of SPACE. FIRE is Flame, Light & Heat. How many FIRES are there? Do the Flame of the FIRE, the Light of the FIRE, and the Heat of the FIRE make up THREE FIRES or just ONE FIRE? Many people miss the fact that even we human beings are tri-unity beings! What do I mean? We are made up of 3 distinct and unique substances. 1. You are a spirit. 2. You have a soul. 3. You have a body. Just because you are spirit, soul and body, are you three beings? Only when you have all 3, you are a real human being. So if you have 1 spirit + 1 soul + 1 body, are you 3 human beings or one? A common accusation is that Christians worship 1+1+1=3 gods. Well, your spirit, your soul and your body are 1+1+1= 3, yet you are one not three! Your spirit, soul and body are different, yet they exist as one in unity to make you a human being. The 3 are unique and they function differently but work perfectly as one. You exist as spirit, soul and body but still you are one human being not 3 separate beings. No analogy can perfectly capture and illustrate the trinity. The Bible teaches that God exists as The Father, the Word of God (Jesus), and the Spirit of God in perfect unity as ONE God. 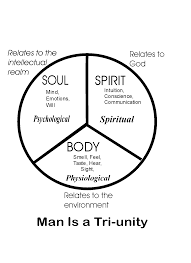 This is what triune or tri-unity or trinity means. It is not 3 separate beings. This is a silly question. Is your spirit only 33% you? Is the PAST 33% of TIME? Is HEAT 33% of the FIRE? Of course your body is 100% you! Your soul is 100% you. Your spirit is 100% you. In the same way, the Bible says that the Father is God, The Word of God (Jesus) is God, The Spirit is God. This is why Jesus could say, “I and my Father are One.” You could say that about yourself too – my body and my spirit and my soul are one. And you would be perfectly right! You are not 3 separate beings, are you? 2. Then why did Jesus say, “The Father is greater than I.”? Well, think about this. Is your body greater than your spirit or is your spirit greater than your body? Do you know your spirit is eternal? Your body is not; it will grow old and die one day. Would I be right if I said, my spirit is greater than my body! Of course. The Word of God (Jesus), existed before creation, but stepped into His own creation, as a human being on earth. As a human, He was submitted to the Father. As God, Jesus is equal with the Father. As a human man, the Father is greater than Jesus. Another analogy: you can say that your boss is GREATER than you (in rank/position) but both of you are EQUAL – as human beings! All these verses and many others have clear explanations. There is no contradictions unless one does not understand the nature of God. 3. Then why did Jesus pray to the Father when He was on earth? As a human being, Jesus was dependent on the Father. There is perfect communication between the Father, Jesus and the Holy Spirit from eternity, so Jesus could talk to the Father while on earth in the form of prayer. As our role-model, Jesus was also showing us how we too should be dependent on God and pray to Him. 4. When Jesus died on the cross, did God die and cease to exist? Let me ask you. When you die, what really dies? 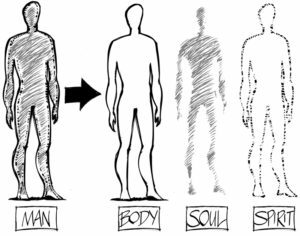 Your spirit, your soul or your body? Or all 3? Actually, it is only your body that dies. Your spirit lives forever, either in heaven or hell. When Jesus died on the cross, the Father didn’t die, the Holy Spirit didn’t die. Only Jesus died; that is, He died as a human being; but as God, He he had the power to rise again to life. No mere human being or prophet or messenger can do this! In John 20:28, when the disciple, Thomas saw Jesus after His resurrection, Thomas says to Jesus, “My Lord and my God!” In fact throughout His life on earth, Jesus received worship from many people. Not once did Jesus stop them or rebuke them saying it was wrong. (See Matthew 1:2, Matthew 2:11, Matthew 14:33, Matthew 15:25, Matthew 28:17, John 9:38, Luke 24:52, etc). Would a mere man, prophet or messenger dare to receive worship that is reserved for God alone? 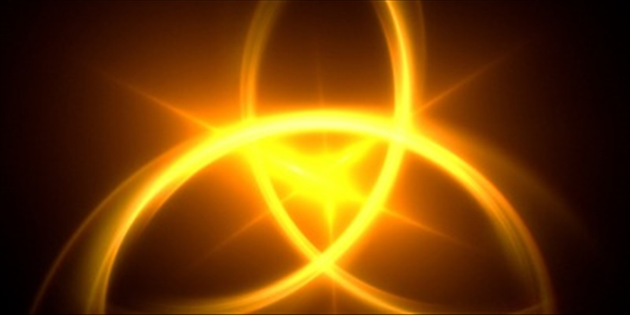 Are there any reference in the Bible that teaches the concept of the trinity? There are several. Here’s one example. In Mark 1:10-11, when Jesus is baptized, the Holy Spirit descends like a dove, and a voice from Heaven (the Father) says to Jesus, “You are My beloved Son, in whom I am well pleased.” Here we can clearly see that the Father, Son, and Holy Spirit each distinctly acting in different roles at the same time. If a religion has three gods, then they’re known as a TRIAD, not TRINITY. The Mormons have a triad of gods. Triad is polytheistic. Trinity is monotheistic. One God. In fact even the entire universe that God created reflects His nature. The universe is one but composed mainly of normal matter, dark matter and dark energy. If you take away any of these three, there can be no universe.